While Batman's the definition of a hero, nobody in real life actually wants to spend their free time brawling with murderers, mobsters, or dudes who can literally snap your back in half. If Bruce Wayne were real, he'd probably be kicking back on a yacht full of supermodels. 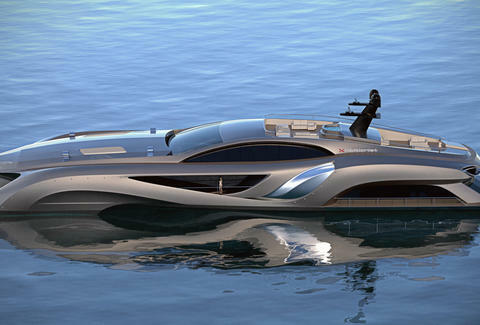 Well, now you can get the best of both worlds, if you've got Bruce Wayne's bank account: namely, this megayacht that looks a helluva lot like the Batmobile. The 229ft-wide Xhibitionist is an extravagant, multi-purpose yacht that can be used as a floating showroom, swanky party venue, or private vessel. Or, if you're an orphaned billionaire crime-fighter, your newest way to foil The Joker's plot to wreak havoc. The slick ship even comes with its own supercar. But sadly, no Alfred Pennyworth. Designed by Swedish-based supercar designer Eduard Gray, the Xhibitionist's interior is decked out in Art Nouveau decor, with classic touches like a Steinway piano, a dual staircase, and Baccarat lighting. And keeping with its automotive theme, the Xhibitionist even has space for a car showroom and "engine room", replete with exposed engines displayed behind glass walls. 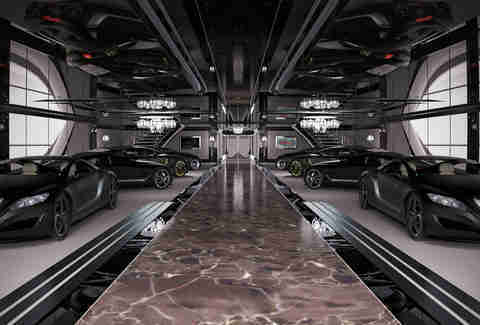 Because if there's one thing you have to do on your Batmobile superyacht, it's find a way to show off. 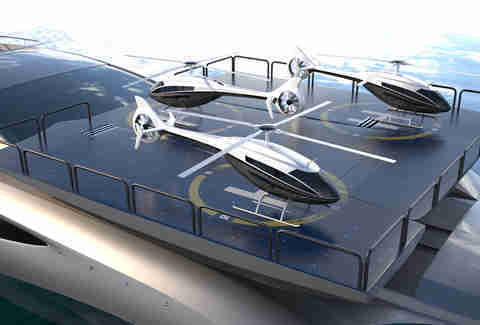 Solar panels that fold out from under a sleek car-hood-like deck power the ship, and as if that weren't enough, the panels double up as a concert space or helipad with space for three choppers(!!). The fly deck even features a Jacuzzi, because, y'know, after a long day of fighting crime, all you wanna do is slip into the Jacuzzi after you park your Batcopter. 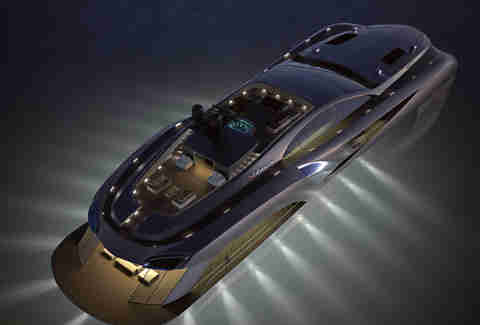 And by night, the superyacht glows in the dark like similar models, thanks to oceanLED lighting. As for the Xhibitionist's price, that would be available by request only... if you have to ask, only Bruce Wayne can afford it. Watch the video below for a closer look at your dream supercar/yacht.